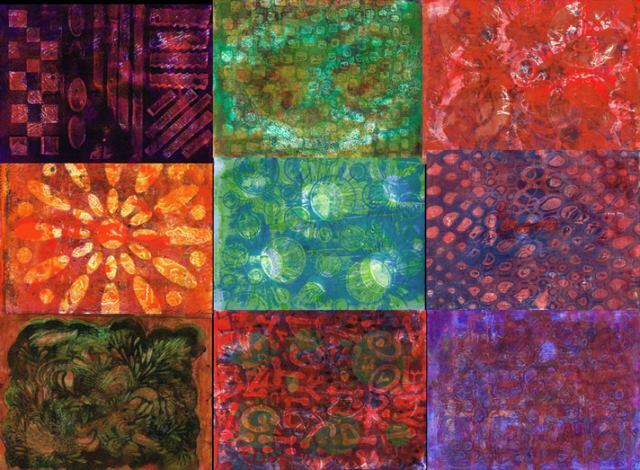 Many of you are curious about that fun, relatively new creative toy called the Gelli plate. 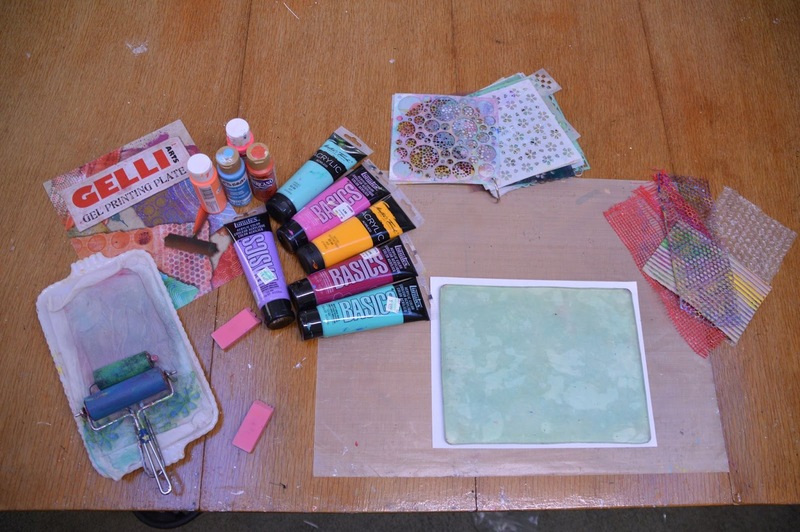 With it, you can make gorgeous mono-printed papers without the hassle of a gelatin plate. If you’ve ever wanted to try one in action, NOW is your chance! 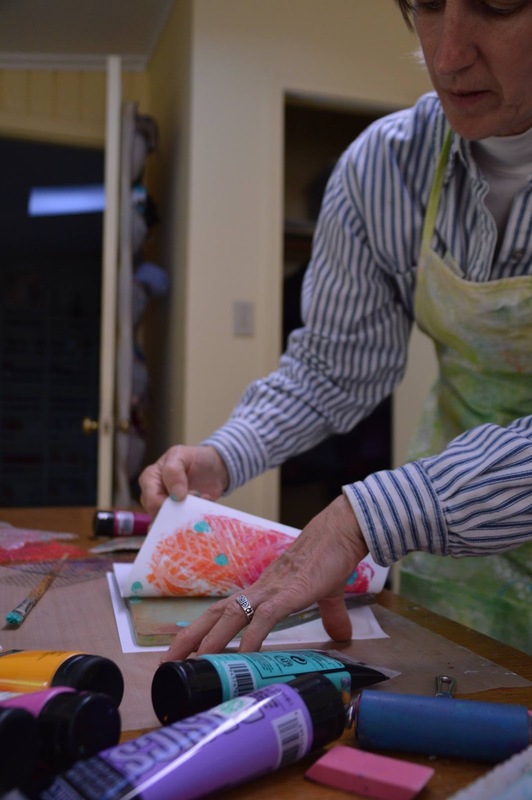 Join us at The Coo for a creative printmaking exploration. We’ll have a few Gelli plates work stations set up and all the materials you need to experiment and see just what you can do with a Gelli plate. It is wonderful for mixed media, card making, fabric painting, art journal backgrounds and more. 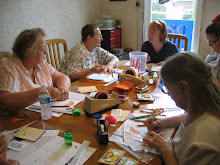 Plan on making 5-10 one-of-a-kind pages that can be used in many projects including greeting cards. 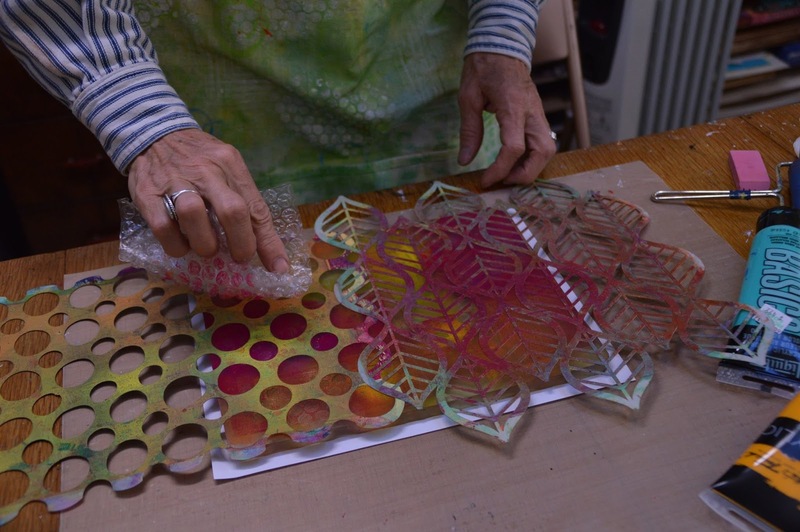 Learn to make layered prints in one step and more complex layered pages. 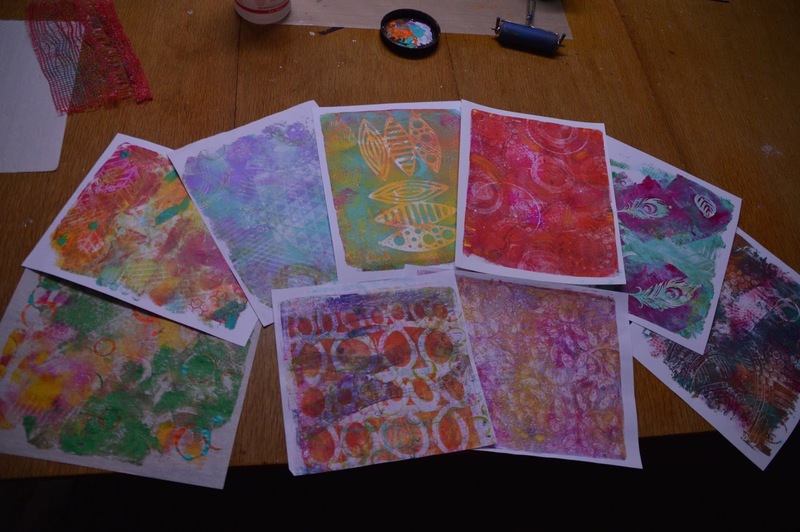 Experiment with the Gelli Arts tools as well as get ideas for homemade tools. 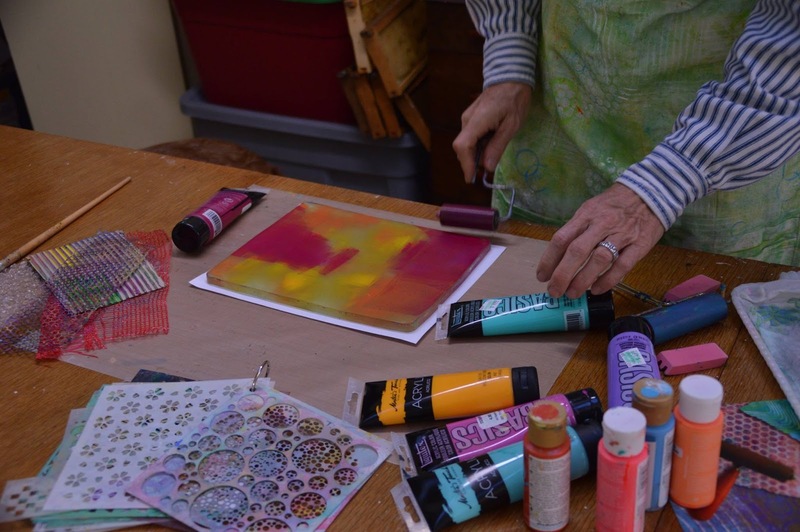 And, as always, get lots of inspiration and tips on other uses for Gelli printed papers and fabrics. 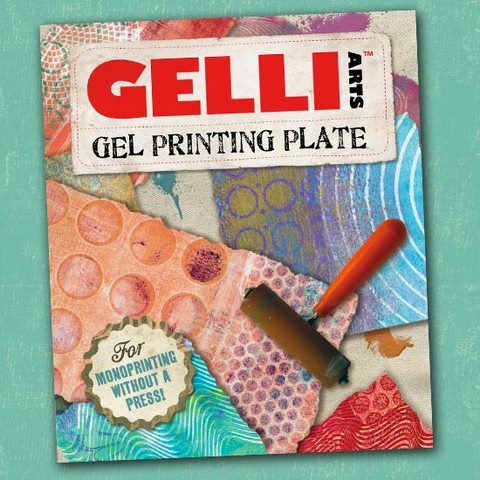 BONUS: All Gelli plates and Gelli Arts materials (in stock) will be 20% off on either day!